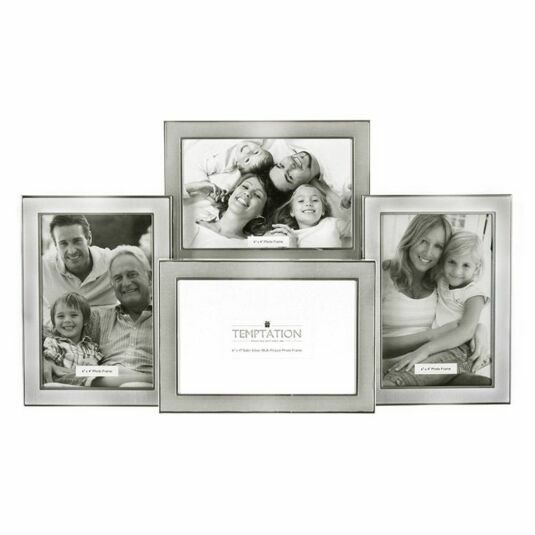 A sleek and dynamic way to perfectly display four of your 6” x 4” cherished photographs, this brushed silver with polished silver edging frame makes a statement in any home. 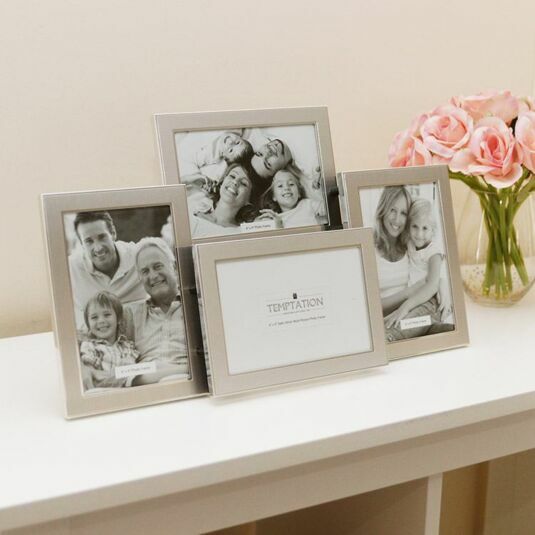 This elegant frame is four frames mounted into one, creating a stunning freestanding three-dimensional sculpture, and a showpiece for your kitchen worktop, coffee table or on the bedside dresser. 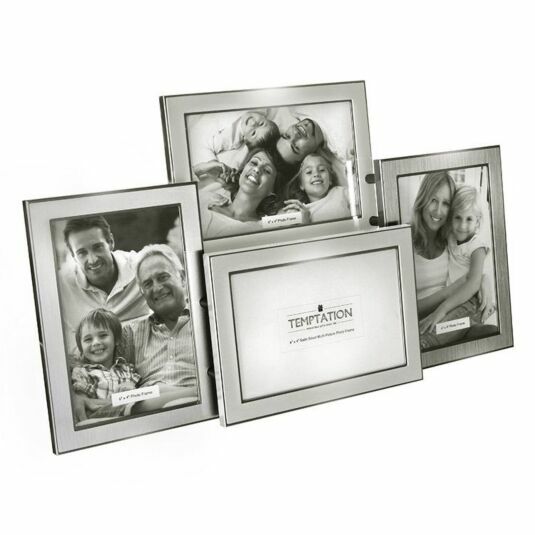 Compromised of four individually sized frames, each can hold a collage of memories of family, friends and loved ones. All four frames display images 6 x 4 inches in size with two featuring in a landscape format and two in a portrait manner. Each frame is constructed from metal with a subtle brushed effect finish. 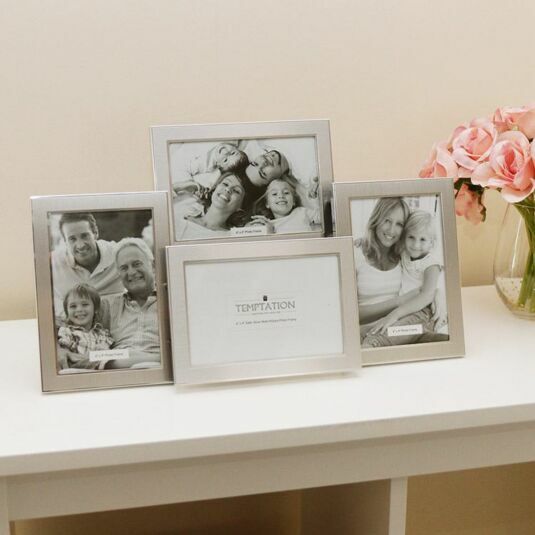 The display is ideal for your special photos, such as a wedding, baby or graduation pictures. The frame has a velvety black back support so that it stands securely on any flat surface. The stylish silver border will fit any decoration scheme, and it makes a lovely new home, birthday or wedding gift.